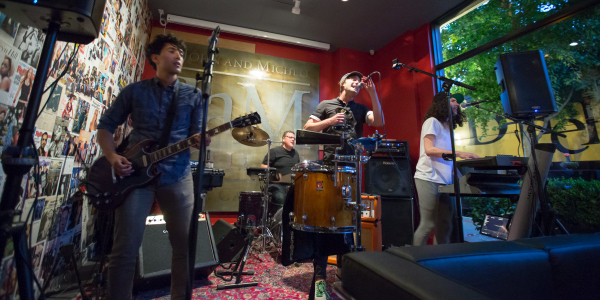 Go big, go small, or go to Napa for new and exclusive JaM Cellars wine and music studio wines. Here’s what’s HOT right now at JaM in Napa and in the JaMClub…. - BigButter is the perfect party-date for the weekend. 1.5L magnums (same as 2 bottles) are $32, and only $24 for JaMClub members. That’s almost 2 for the price of 1. You’re welcome! - NEW ButterCans are so adorable and at $20 for a 4-pack of 250ml, that’s more than a glassful per ButterCan! JaMClub members can grab and go their ButterCans for just $18, plus shipping discounts. - Love Candy? Candy Dry Rosé that is… Well, we do too! and we’re reserving the last few drops just for JaMClubbers. Why not Rosé all day with notes of fresh strawberries and watermelon? Candy is so delicious, it will leave you wanting more…much more! Get 10% off SRP of $14.99 plus shipping discounts as a JaMClubber. - For the grand finale of what’s HOT at JaM…make your friends jealous and go up in the world with Butter Napa, or JaM Cab Napa—ONLY available here at the wine and music studio and online. Fancy? You bet! Fill your cart here with all of these JaM goodies, or come JaM with us on First Street in downtown Napa. 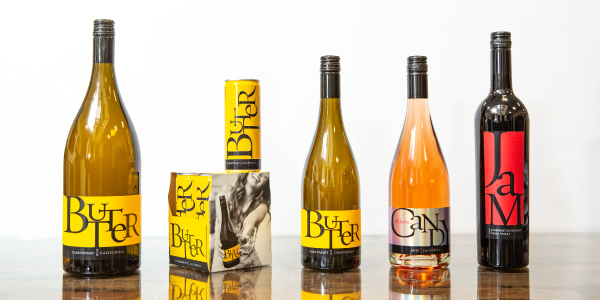 Join our JaMClub for 10% off all Butter, Candy, JaM and Toast wines (big and small! ); 25% off glasses here at the wine and music studio; and sweet-deal JaMClub shipping discounts so wines appear right at your home—just like magic. Sip smile and share your love of JaM wines on FaceBook and Instagram using #JaMCellars! You know we love to JaM, but in October we’re going to ROCK! For the month of “Rock-tober”, we’re bringing live music Thursdays, Fridays, and SATURDAYS too. Yep, that’s three nights a week to satisfy your inner wine-loving, rock-goddess heart, right in downtown Napa! And it gets better…with Butter, of course…we’re also bringing in fresh new talent that haven’t played the JaM Cellars wine and music studio before. Check out Americana singer Frank Barter, alt-rockers Fellow Vessel, and the soulful folk group The Risky Biscuits, to name a few. Love the hits? Of course you do, that's why we're bringing in JaM faves like Chris Pierce and Serf and James to round out JaM’s killer “Rock-tober” line-up.